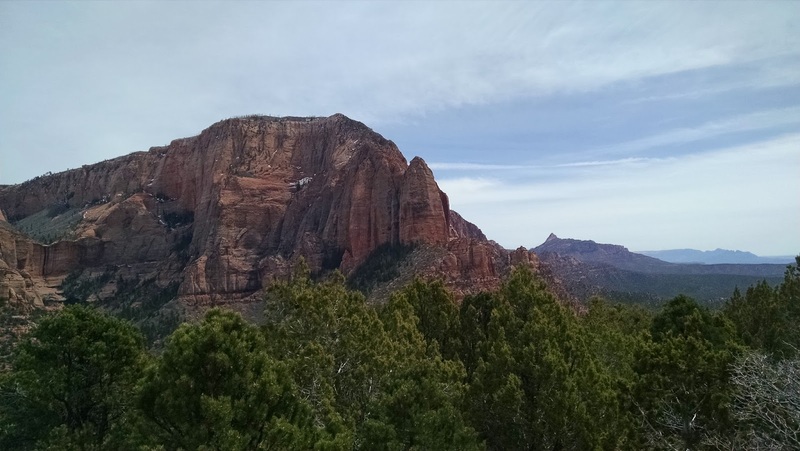 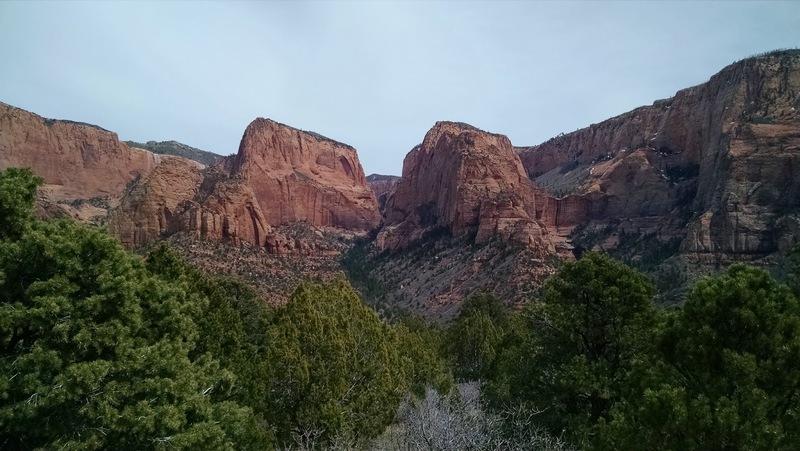 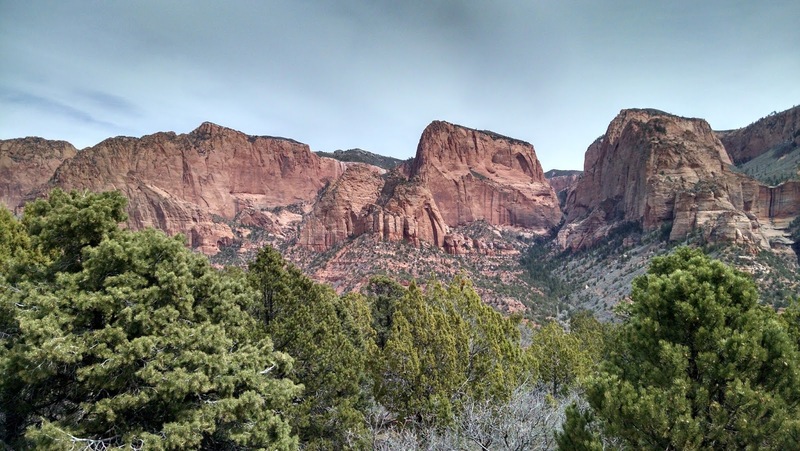 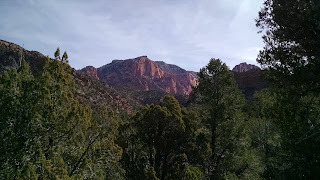 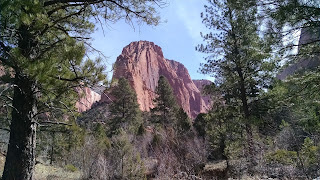 I've always wanted to visit Kolob Canyon. 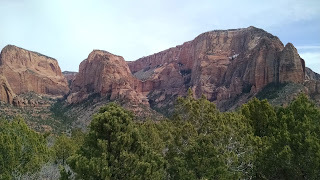 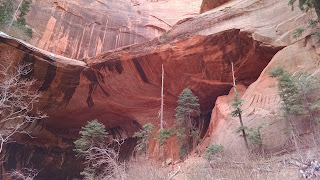 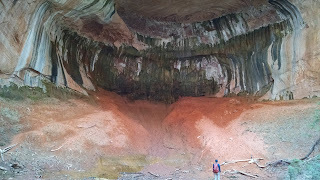 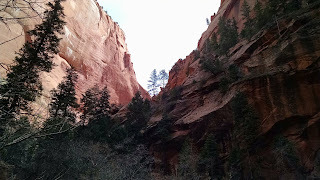 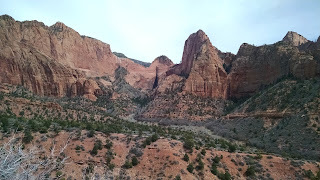 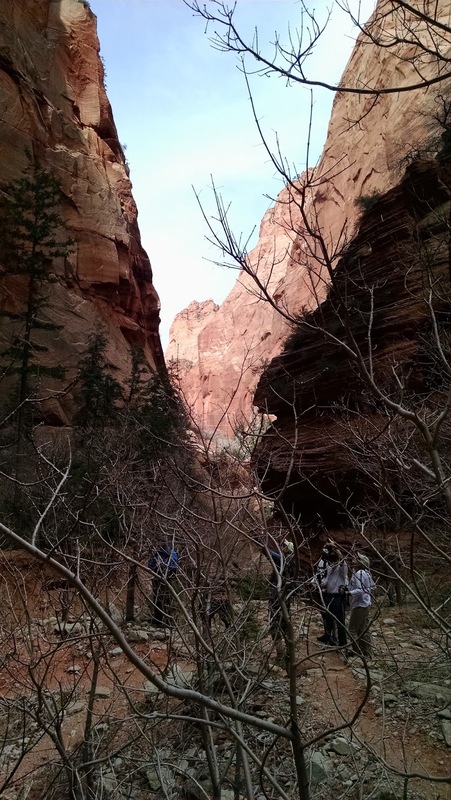 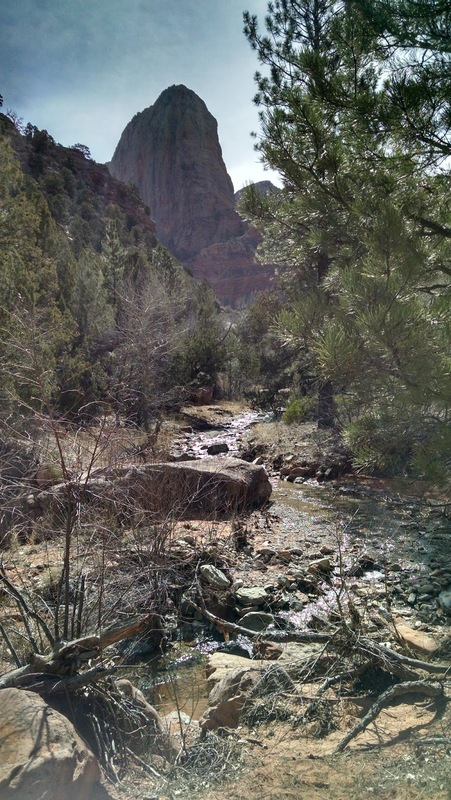 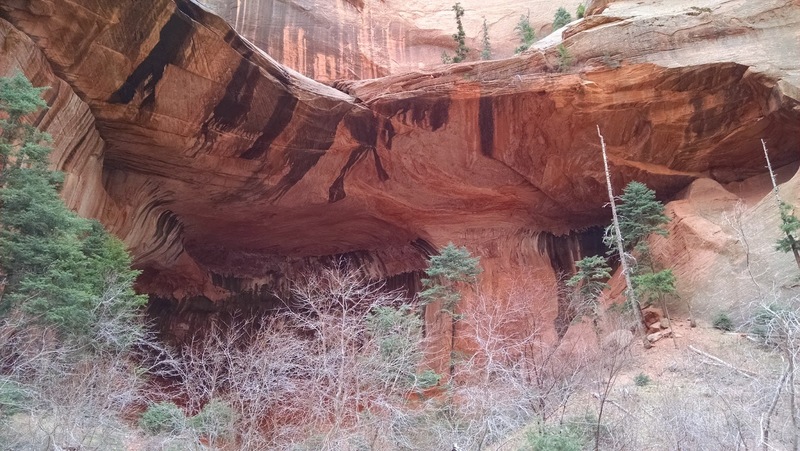 It is a less visited section of the Zion National Park and a bit more accessible to the general public. 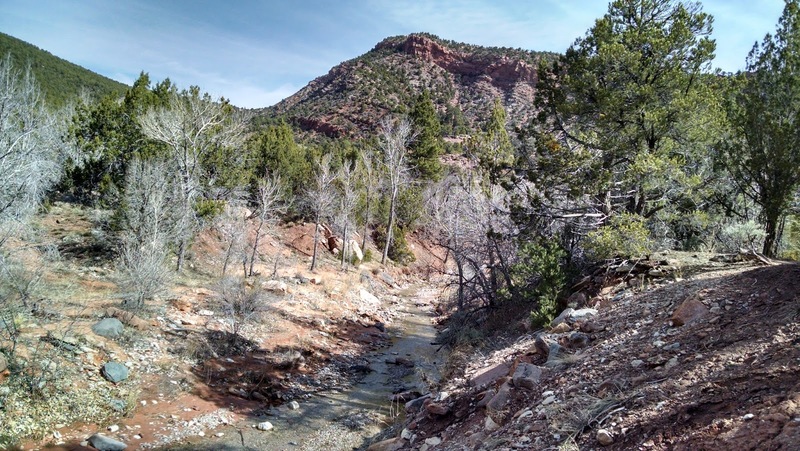 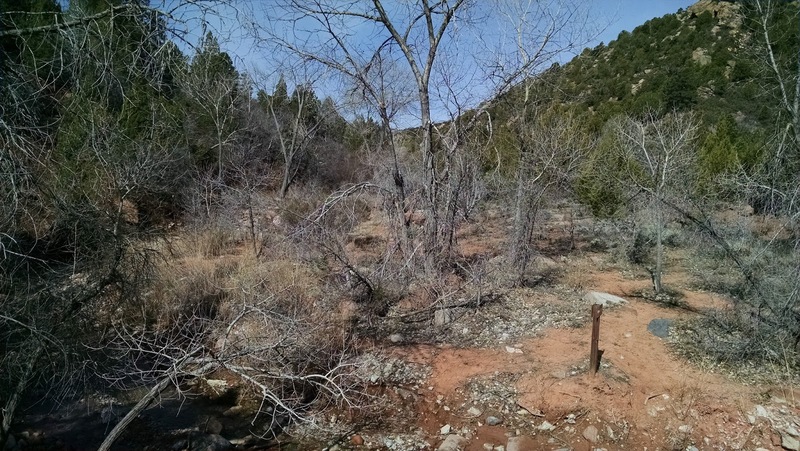 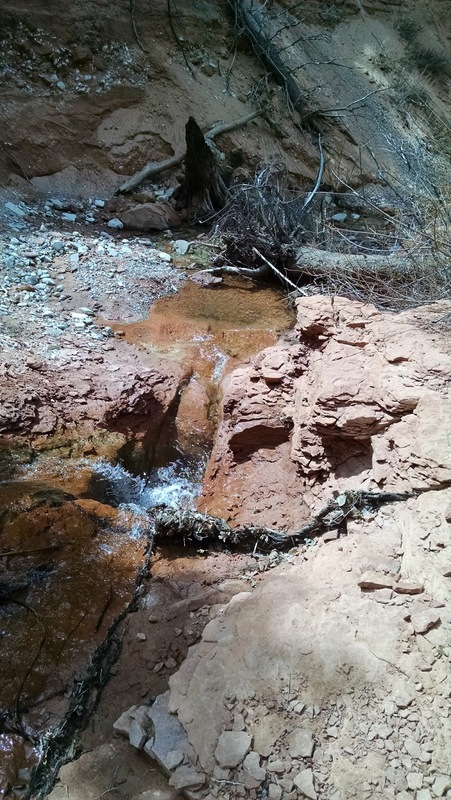 It is conveniently located about 15 minutes south of Cedar City. I can't count the number of times I've driven past the entrance and wondered what was in there and that I would make a day to visit it. 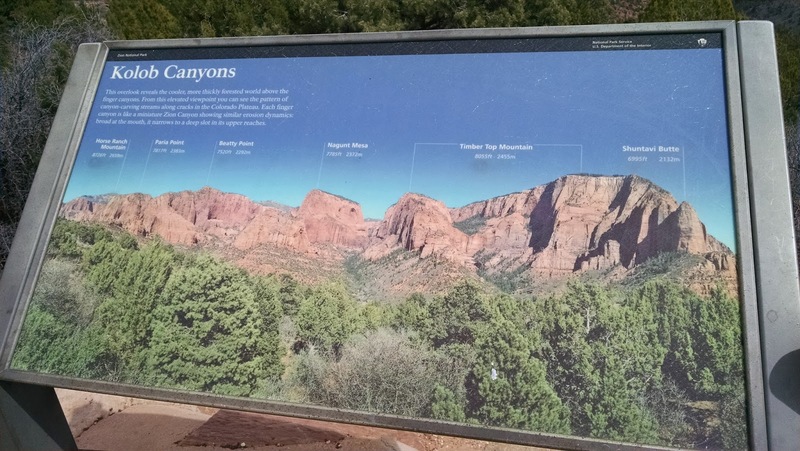 It isn't hard to get to -- it is right off the I-15 and less than a minute to the park entrance. That day came around in early April and I finally made a special trip just to visit this park. 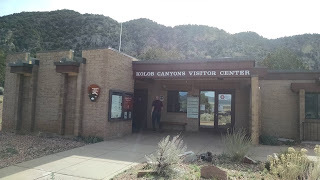 I had read that they were closing it in May for road work and figured I'd finally go. The canyon's road is about 5 miles. It takes less than 10 minutes to drive the entire thing. However, you'll want to stop off at some of the various parking areas and check out the scenery. 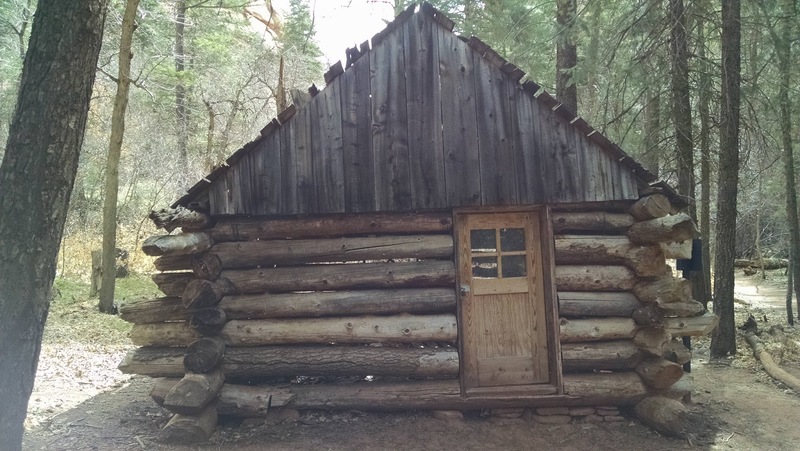 The cost to get in was $30. I believe your pass was also good for the other section of Zions National Park just outside of Hurricane. 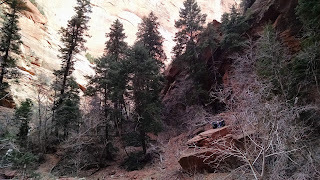 I recommend getting there a bit early if you want to hike as parking is a little limited (although not impossible). 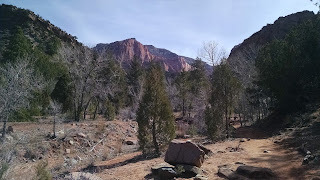 We rolled in around 10 AM and grabbed one of the last spots at the Taylor Creek Trail. 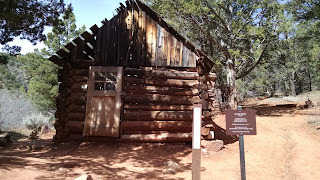 There were bathrooms at the summit of the drive but I didn't see any water stations other than that the main entrance. 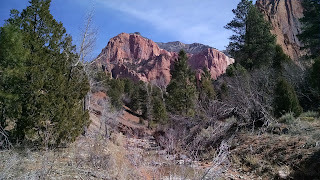 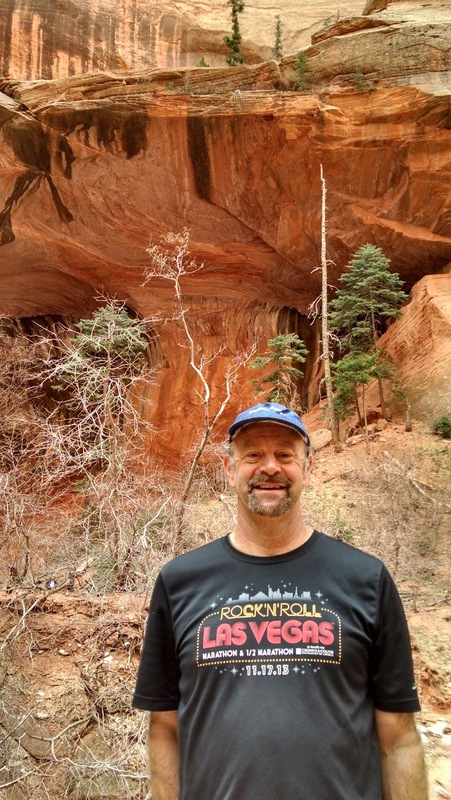 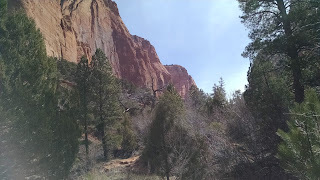 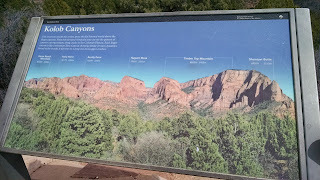 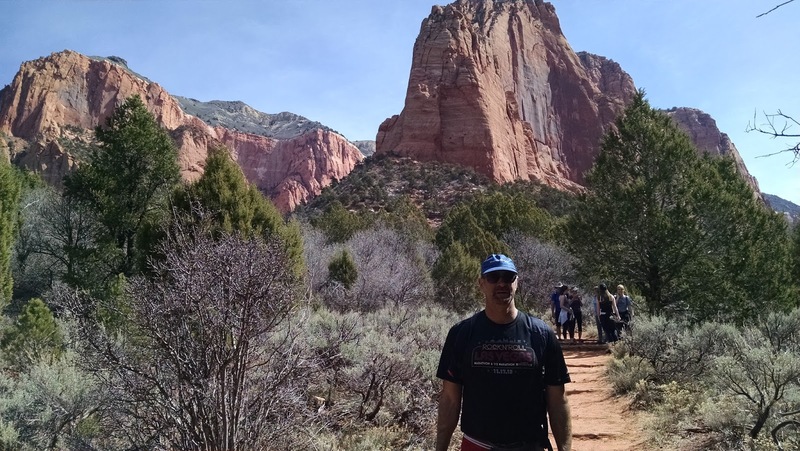 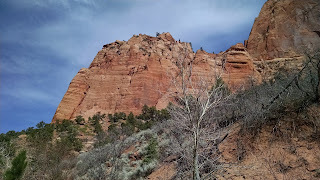 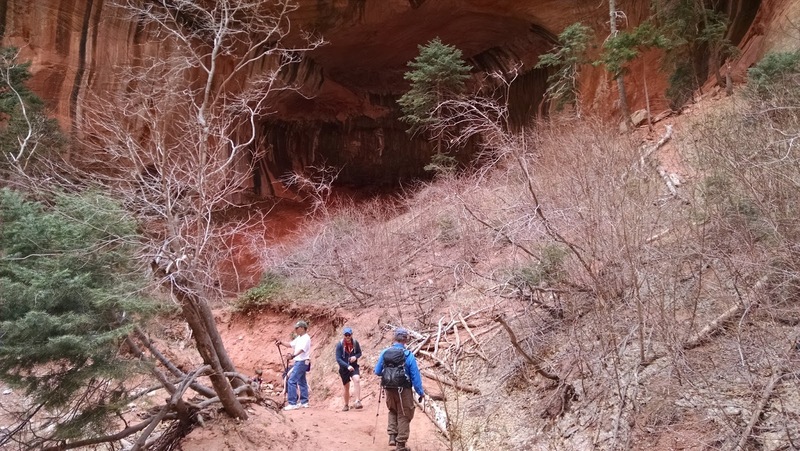 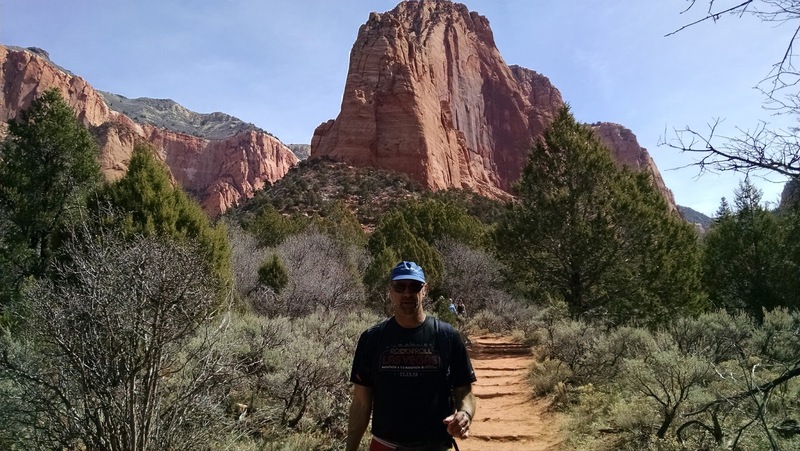 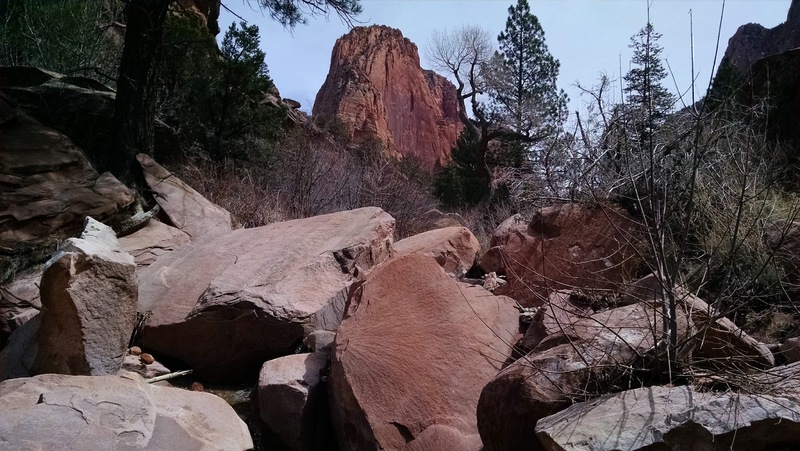 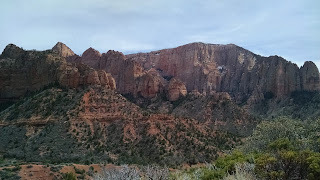 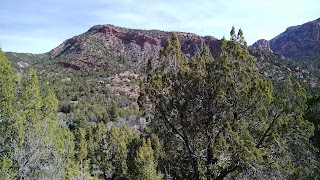 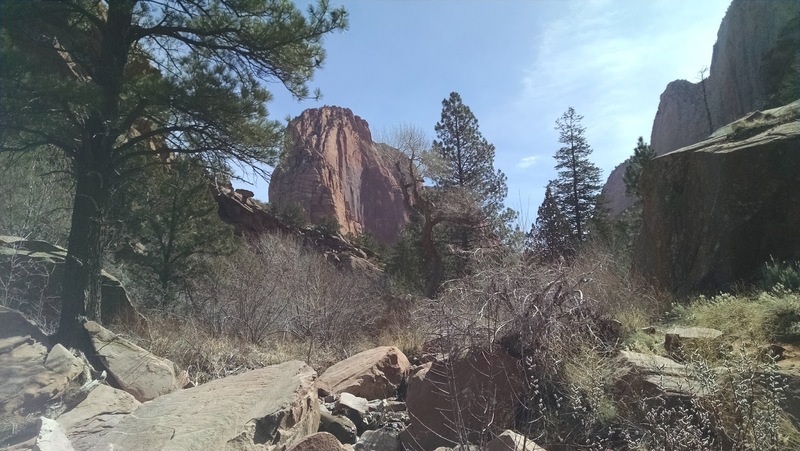 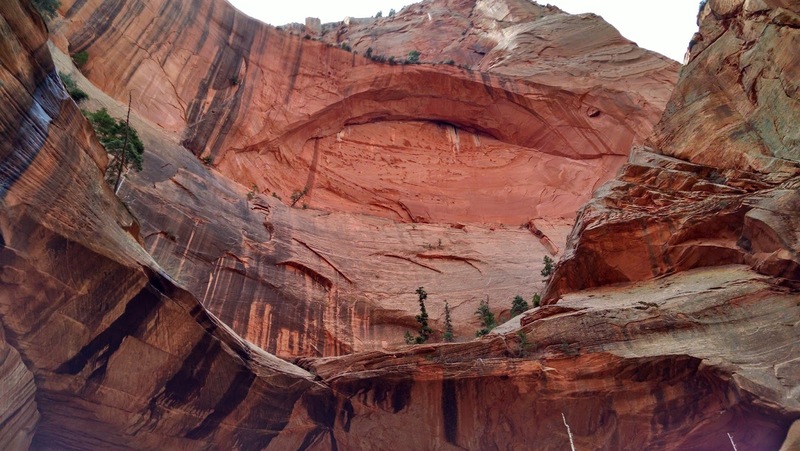 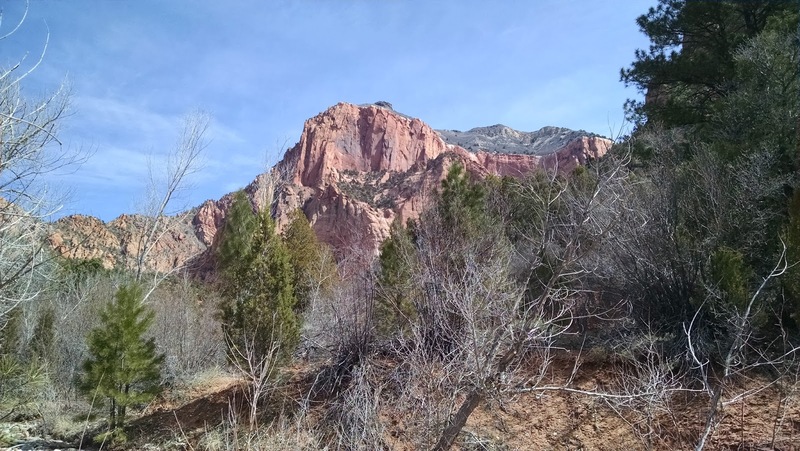 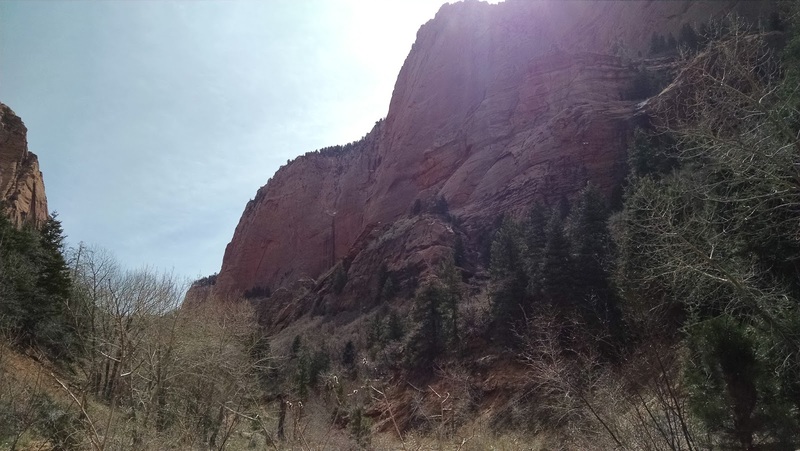 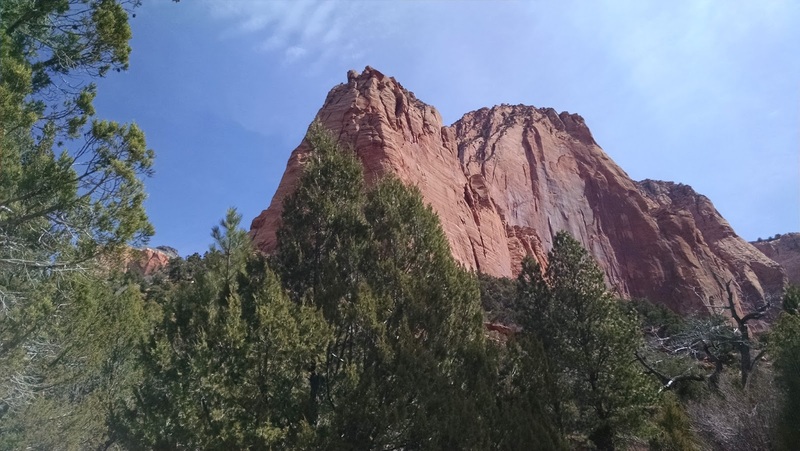 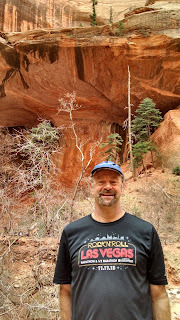 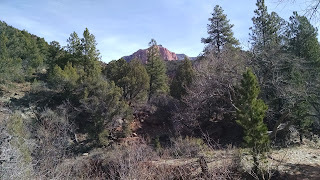 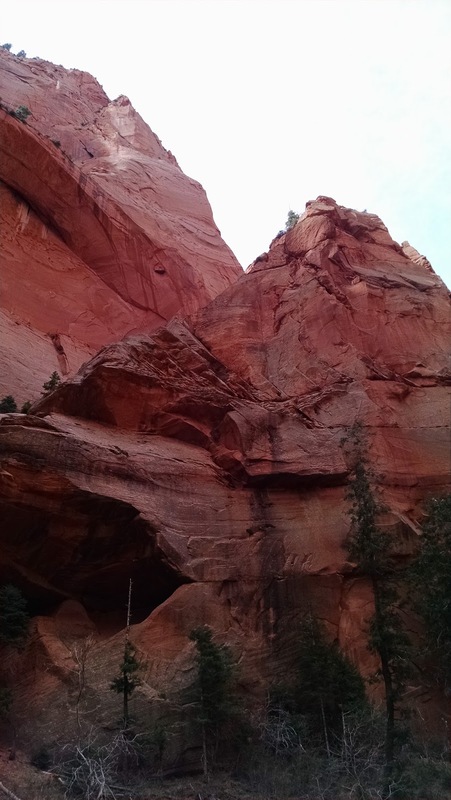 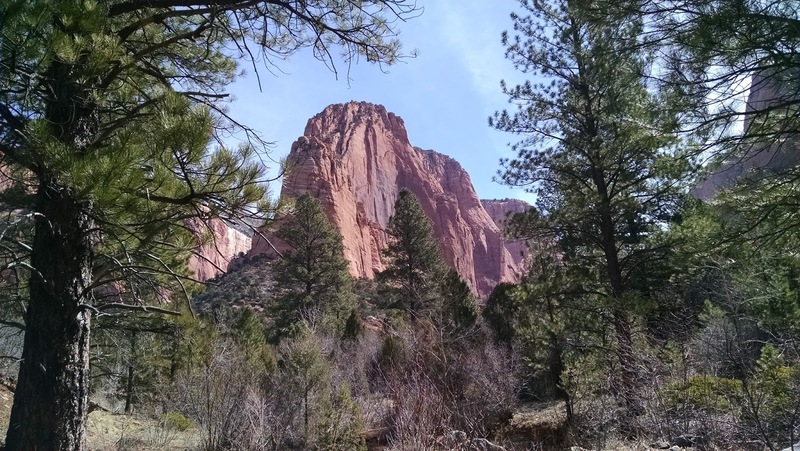 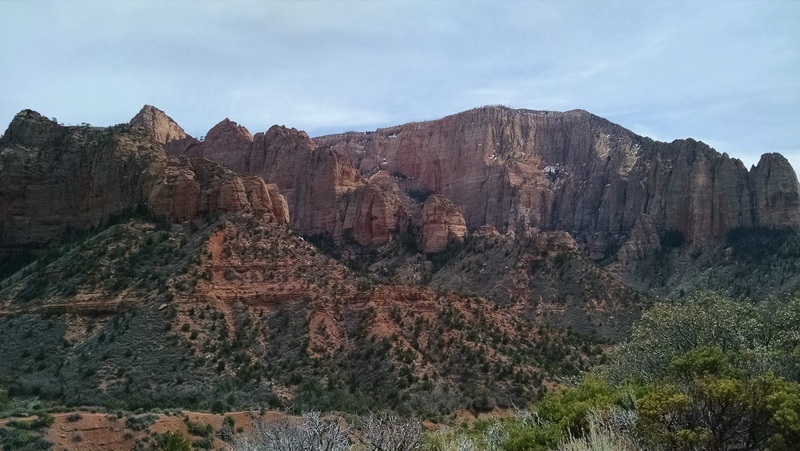 I found an excellent reference for all the hikes there at Joe's Guide to Kolob Canyon. 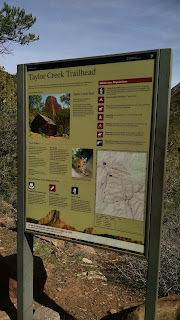 Since I was hiking with Shari we opted for the somewhat easy trail of Taylor Creek. 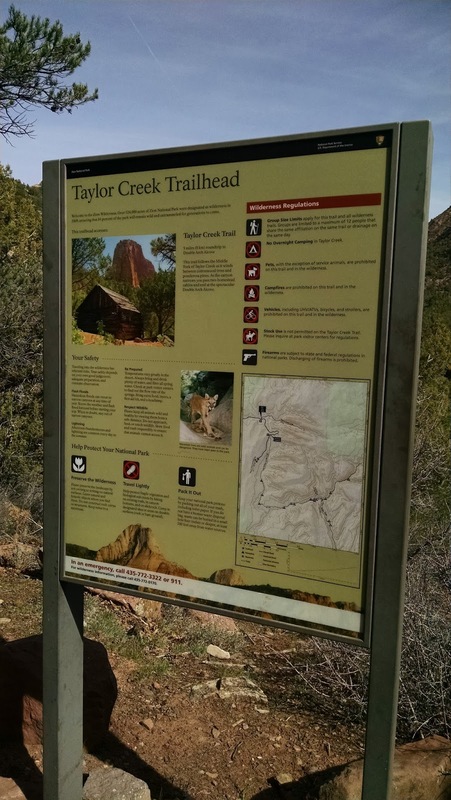 The Taylor Creek is a couple hour hike and you are basically hiking next to the creek the entire time. 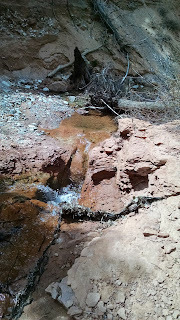 Depending upon the season you may have to get your shoes wet. When we went we were able to cross about the dozen (at least) spots without too much trouble. 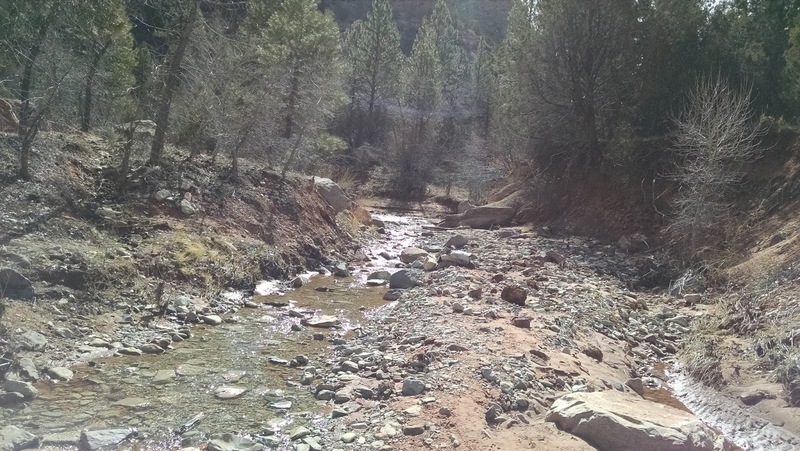 People have put rocks in the stream to aid the crossings -- but just be prepared. 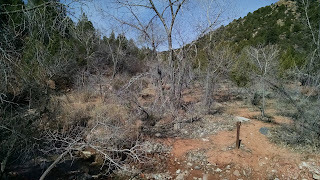 The trail is about 5 miles round trip. My Garmin I think got confused about 2 miles in as the walls of the canyon closed in on me. You can see my trip here. Shari isn't a fast hiker but as a runner, I could've ripped through the trail in a few hours. The elevation changes are minimal. 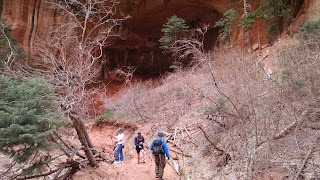 You'll generally encounter a bunch of people on the trail -- particularly families. You definitely won't be alone. The other mode strenuous trails seem to attract the serious. 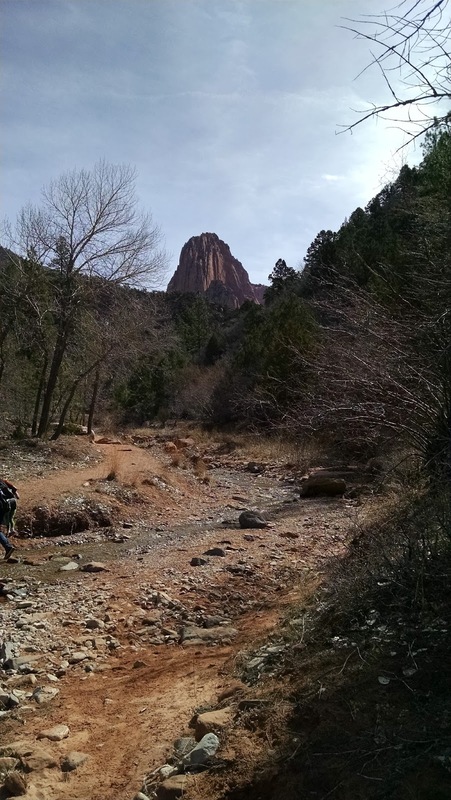 Be sure to bring ample fluids, snacks or a filter. 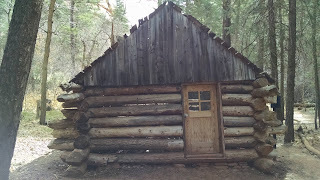 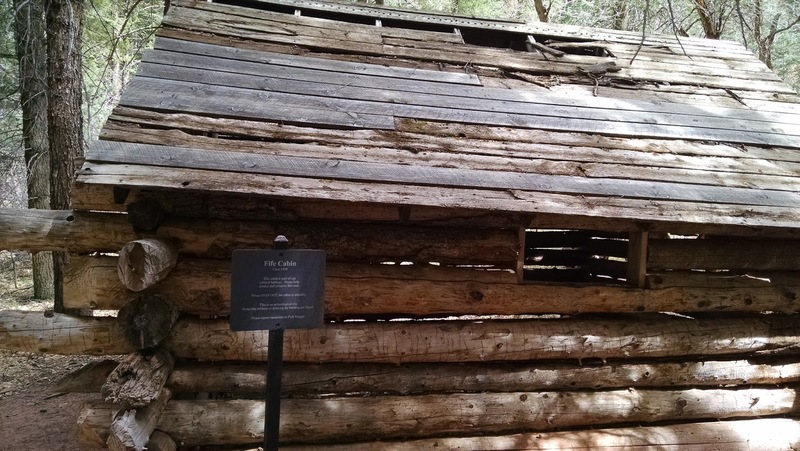 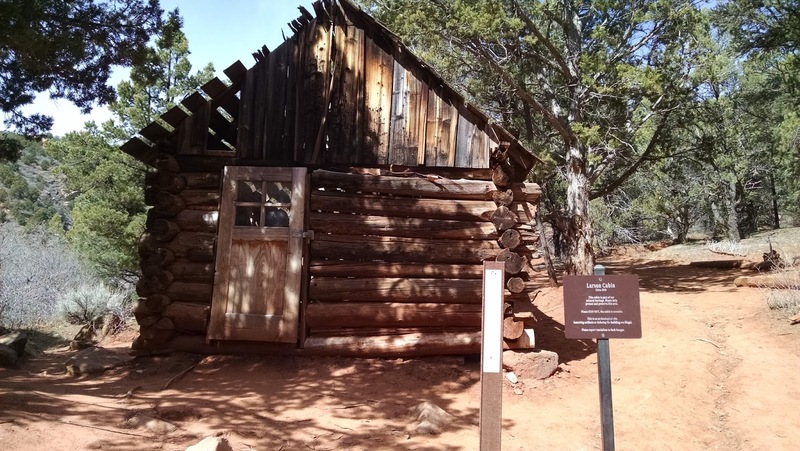 There are two cabins you'll find along the trail. They date back to the 1930's. 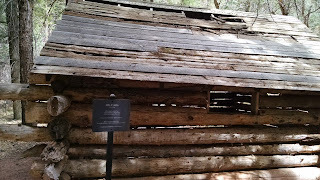 They are pretty rickety but amazing to think people lived out there for a while. 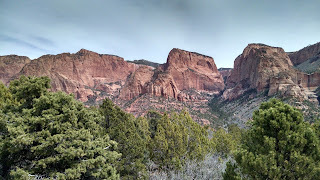 The scenery is jaw dropping and you'll be whipping out your camera all the time. 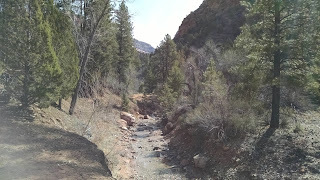 The payoff at the end, where the trail just sort of tapers off, is a subway-ish alcove that the creek has etched into the side of the mountains. Pretty amazing if you consider how long it took to form. 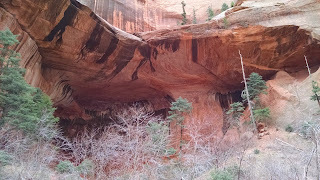 There is also a double arch. 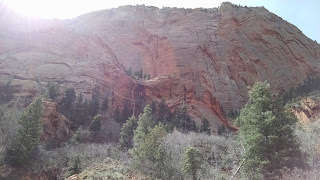 I really enjoyed this hike. 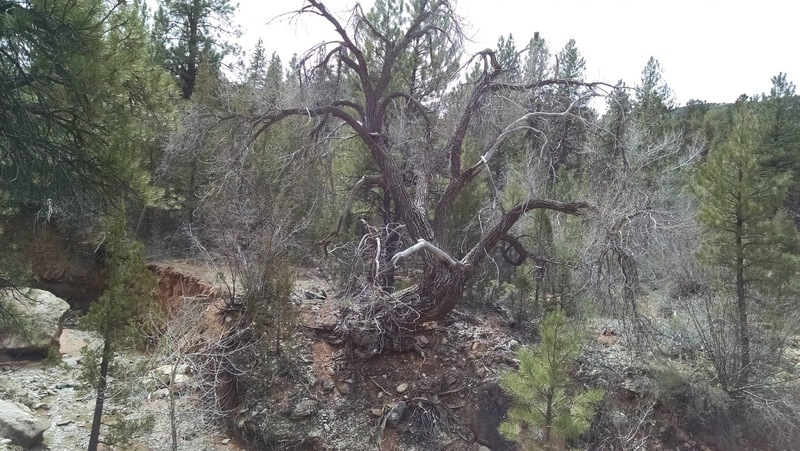 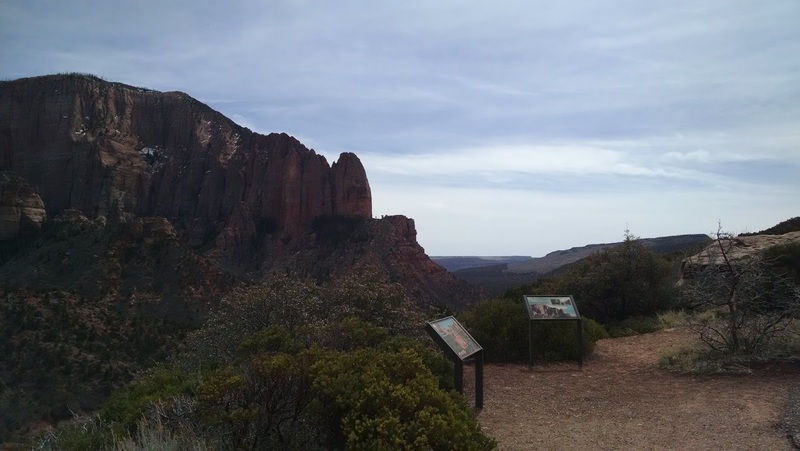 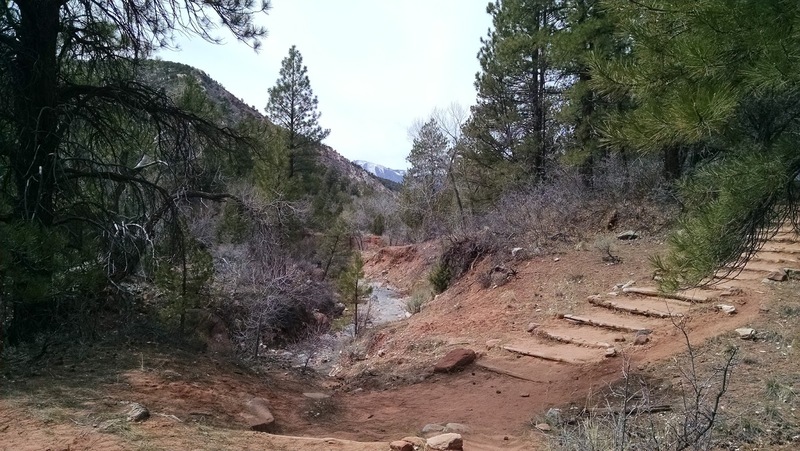 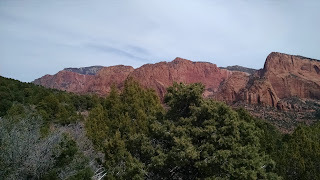 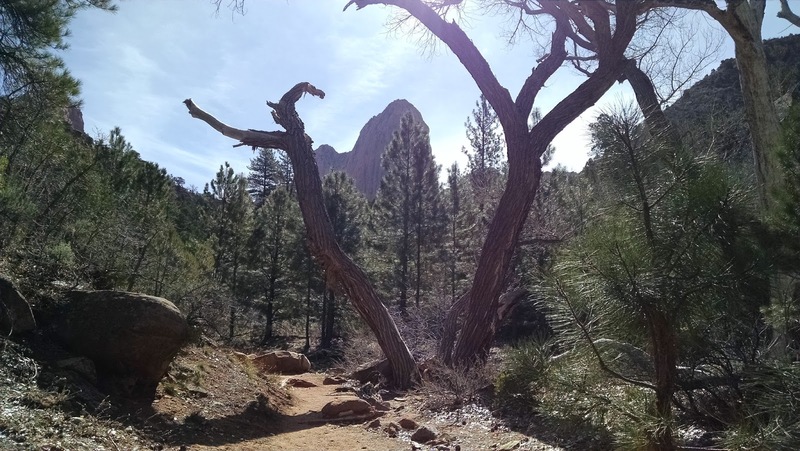 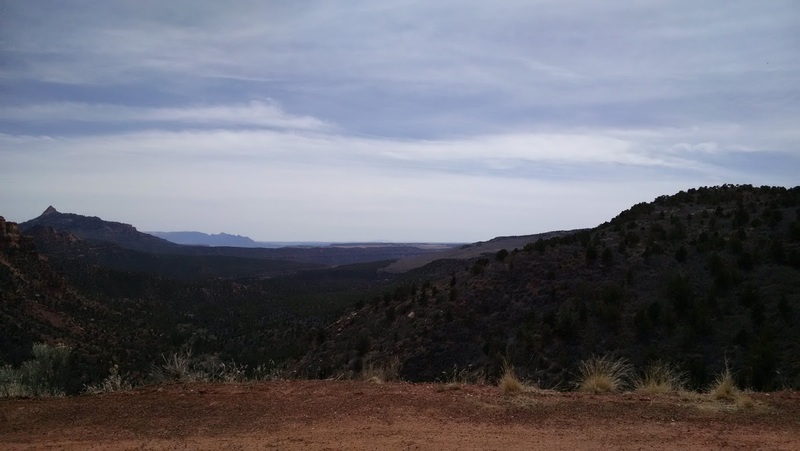 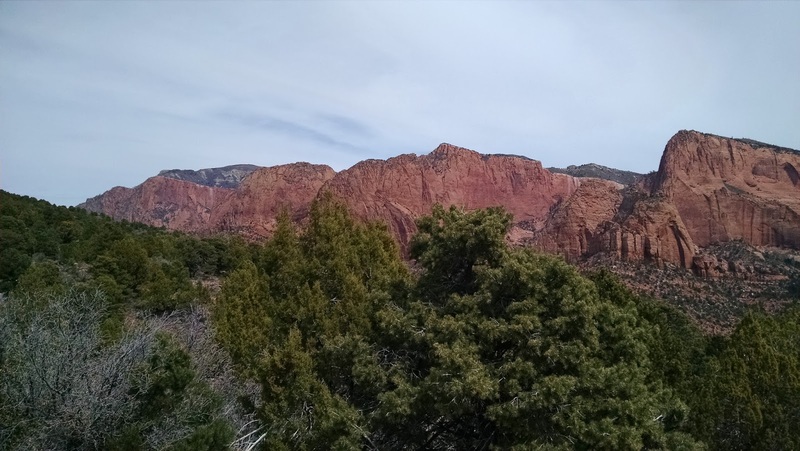 If you are looking for a mild hike that isn't going to wipe you out, I'd definitely chose this one and do the scenic drive -- which is what we did.